2018 Nova Scotia's Part in the Great War - Fine Silver Medal - 1 oz. Details about Halifax Explosion Commemorative - Fine Silver Medal - 1 oz. 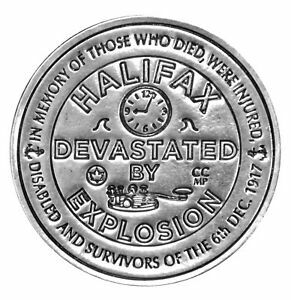 Halifax Explosion Commemorative - Fine Silver Medal - 1 oz.